This entry was posted in memoir. 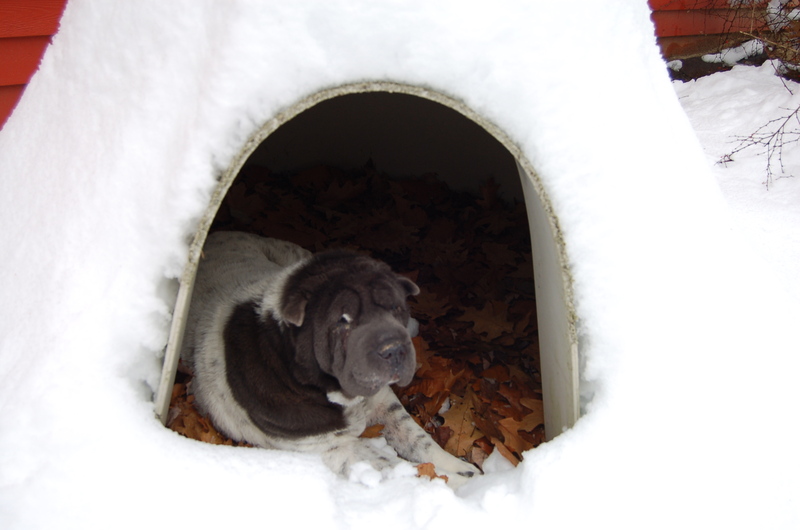 Tagged dog houses, memoir, photo blog, photo blogging, Photography, Shar Pei, T.G.I.F., winter in New Hampshire. Such a tough life she leads! Ah, now to WRITE those Christmas cards! Looks like she’s got a nice snug hangout! She’s a funny old dog, loves the cold! She looks pretty pleased with herself there. She is the happiest being on earth, best attitude ever!